Haley is a lifelong gardener from Cosby, Tennessee. Growing up, plenty of family and other adults had vegetable gardens. I don’t recall starting mine being something I thought about much. As soon as I had a yard of my own, I planted tomatoes, probably a cucumber and a squash, maybe a pepper. It seemed like the thing to do. A gorgeous haul of ‘Noir Des Carmes’ heirloom French cantaloupes from Haley’s garden. It is hard to pick a single most rewarding thing about gardening. I find it to be a satisfying and practical hobby that often provides me a great deal of stress relief. There is a great deal of variety to the tasks, from the labor of building and maintaing a bed, to simply admiring the beauty of the plants and insects. I also really like pickles. And the canned beans and tomatoes come winter. Wow! Haley’s canned beans, grown in her garden. This is a big pile of patience that Haley grew in her garden. No till gardening is the way to go. We have raised beds, a hugelkultur bed, and beds that were made with a chicken tractor. You don’t have to be a commercial farm to use cover crops. They are wonderful. The compost pile keeps getting better and better. I’ve used lasagna gardening or sheet composting too. I loved the idea of building the soil right here on the property, but importing compost, topsoil, and mulch is absolutely necessary and absolutely worth it. A toad burrowed into the soil in Haley’s garden. Have you ever thought about what happens to all the good microscopic and macroscopic organisms when soil is tilled? This is one of the many reasons GrowJourney promotes and teaches no-till organic growing methods. My first winter in Tennessee I went online to place an order for vegetable seeds. I’d been gardening for a few years and attended workshops at Appalachian Feet with Eliza before moving. I thought I knew what I wanted. My online “cart” spanned multiple retailers and was over $75. The excitement of all the variety was replaced by a need to be budget conscious. I pared it back, still spent $30, and had yet to buy summer garden standards. 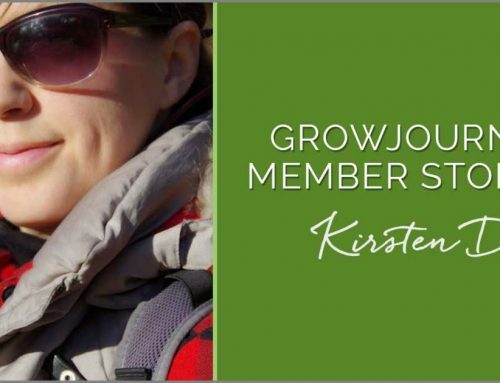 I learned about GrowJourney shortly after it launched that July. It has served me well. I’ve been checking out new varieties and getting plenty of seeds that I consider “must haves” with a twist. I’m finding out what works well for my particular plot of land and my not so picky tastebuds. I love the burst of motivation I get when the GrowJourney package arrives. A beautiful Fordhook giant chard growing in Haley’s winter/spring garden. Follow Haley on Instagram to see her awesome gardening and life adventure photos. Quick note from Aaron @ GrowJourney: In case you don’t know, Eliza (referenced above) is GrowJourney’s Education Director. She’s a Master Gardener, Master Naturalist, and Permaculture teacher. 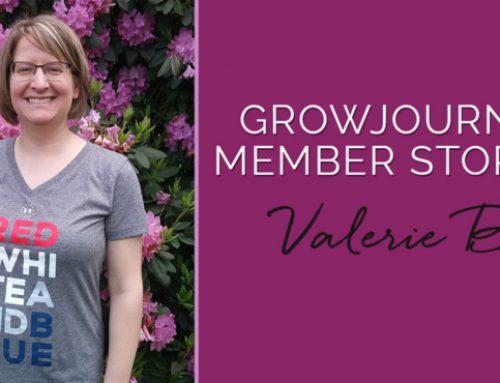 She’s also the most knowledgeable gardener we’ve ever known, which is one of the reasons we sometimes simply call her “encyclopedia head.” Interestingly enough, Haley grew up in Greenville, SC, hometown of GrowJourney. While she was here, she took a gardening class from Eliza. We love checking out all the great things Haley has growing in her no-till organic garden – maybe she’ll even teach gardening lessons to folks in Tennessee!